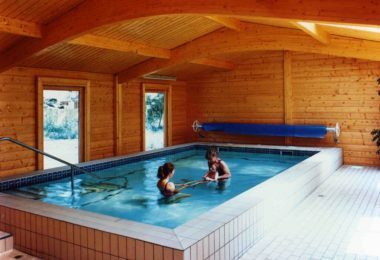 Our solid log hydrotherapy pool buildings are ideal for new and existing hydrotherapy units, and give you every opportunity to enjoy the Norwegian Log Effect™ throughout the year. 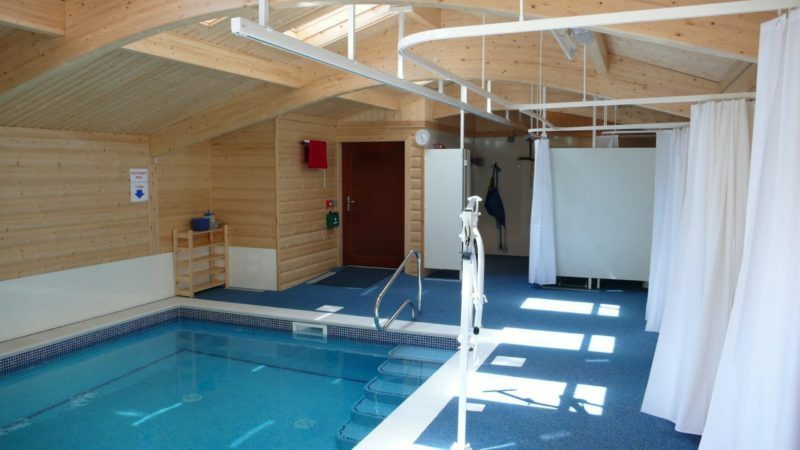 The friendly, tactile log surface provides a warm, welcoming and echo-free environment that builds confidence and encourages successful therapy in comfort at home as well as in special schools, hospices, etc. 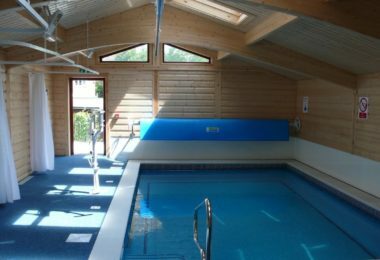 What’s more, our hydrotherapy pool buildings are very competitively priced compared with conventional brick or sectional glass structures. 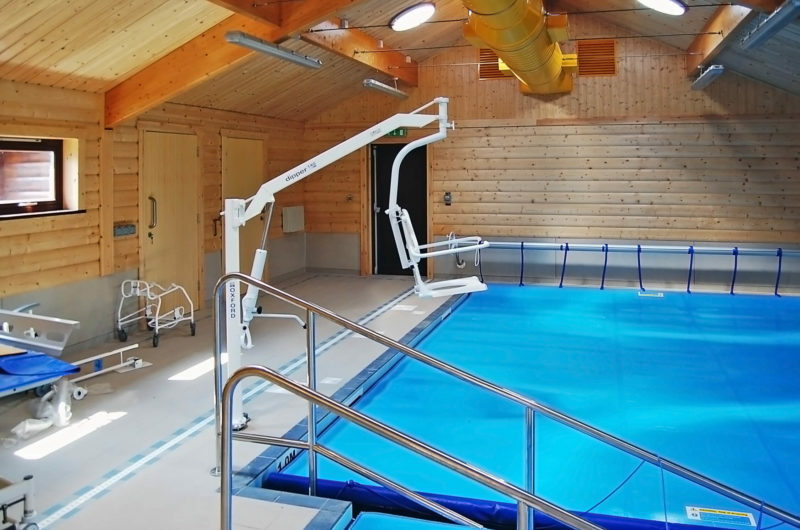 We have co-operated closely with many public bodies, schools, charities, etc., as well as private clients, on designing hydro swimming pools to meet specific requirements. Take advantage of our experience and let us help design a facility that will meet your budget and needs. 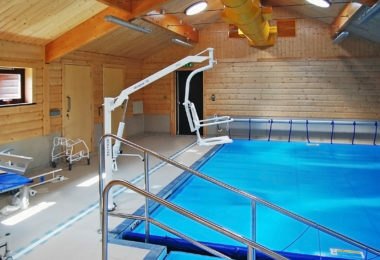 We install our hydrotherapy pool buildings much faster than conventional brick or glass structures can be built. And with minimal disturbance to your site. 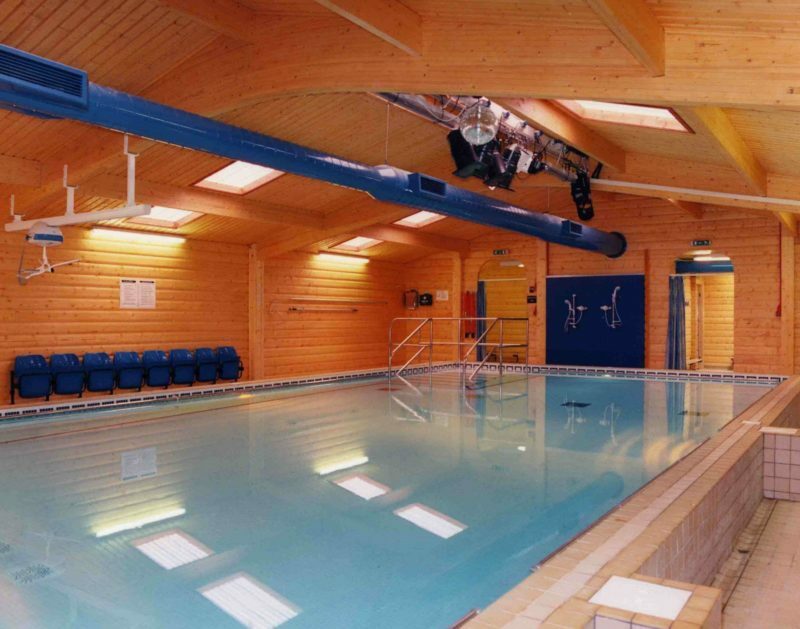 Our log technology can also enable us to install hydrotherapy pool buildings on sensitive sites or sites with difficult access, because we make minimal use of heavy plant. 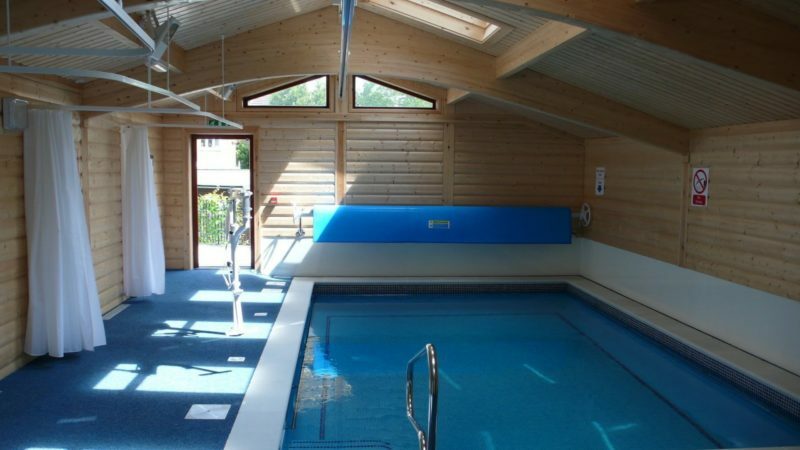 Our hydrotherapy pool buildings enable you to offer or enjoy hydrotherapy whenever you wish, whether you are installing a new pool or enclosing an existing one. 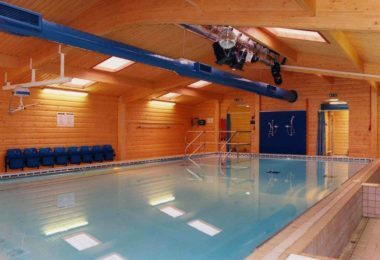 Log’s high level of natural insulation and our draught-free construction technology mean the thermal efficiency of our hydro swimming pool buildings is much better than that of sectional glass. 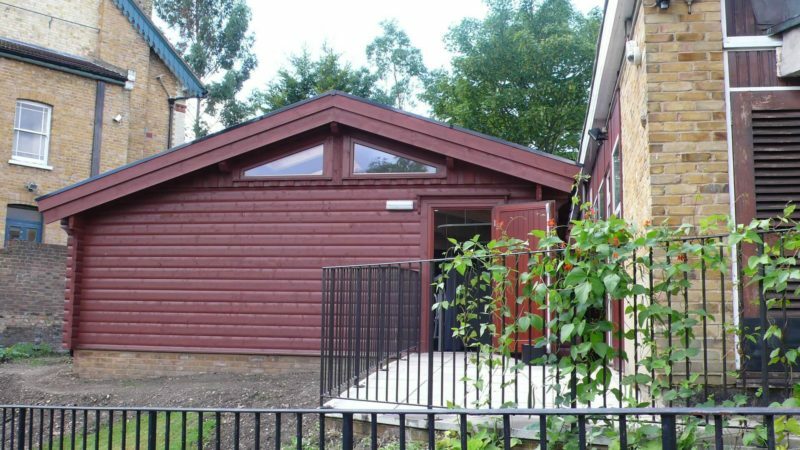 It compares very favourably with many other construction methods, and helps minimise energy costs and condensation. 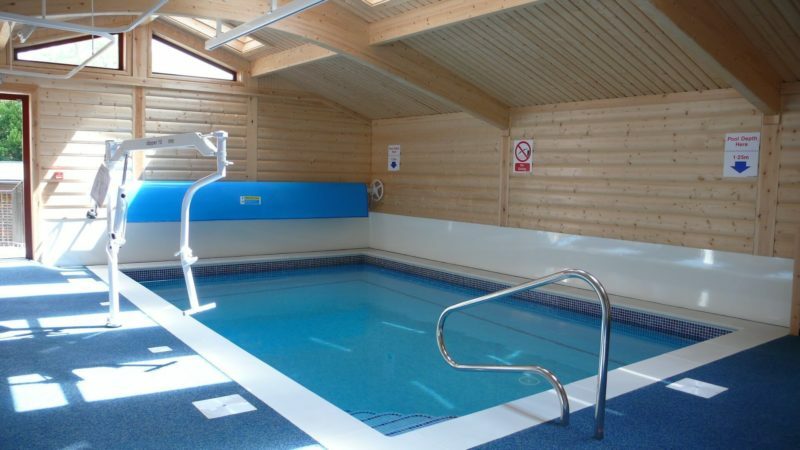 Furthermore, our hydrotherapy pool buildings have an indefinite lifespan with only minimal maintenance. This keeps your running costs low and preserves the value of your investment. 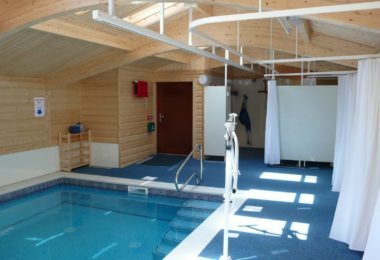 The friendly, tactile log surfaces in our hydrotherapy pool buildings provide a warm, welcoming and echo-free environment. 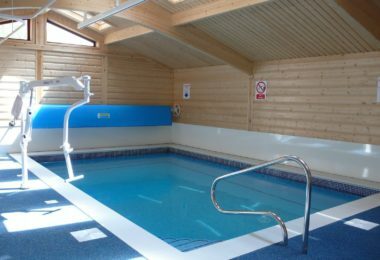 This builds confidence and encourages successful therapy in comfort at home as well as in special schools, hospices, etc. 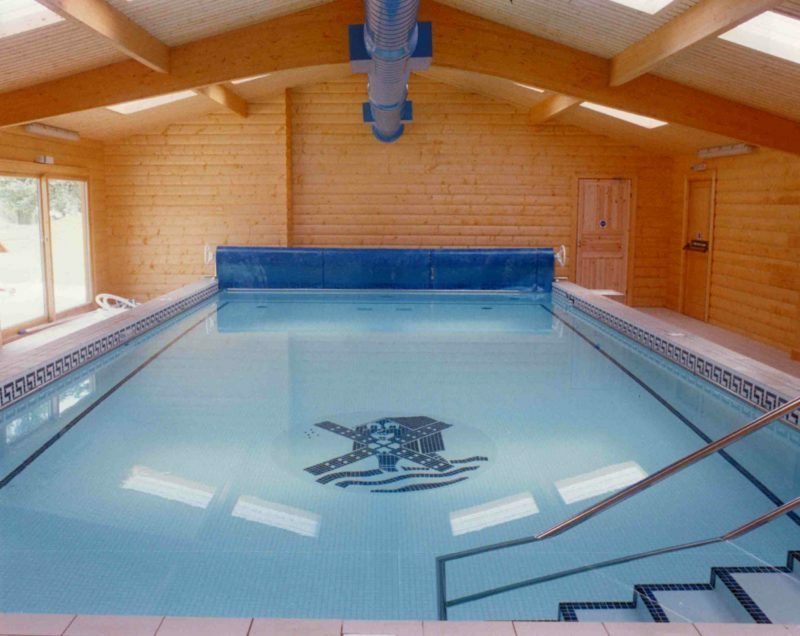 Does a pool enclosure require planning permission? 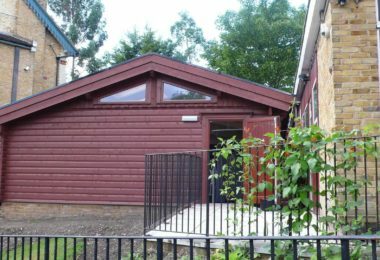 Not if it conforms with Permitted Development, with a pitched roof not more than 4 m high, a gutter line not more than 2.5 m and a ground area not more than 50% of the residential area of the house. 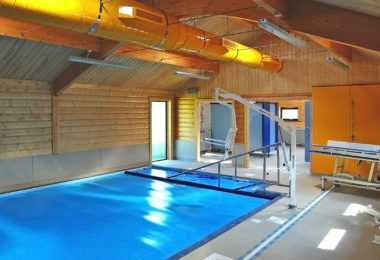 I already have my own pool builder. Can you supply the enclosure only? 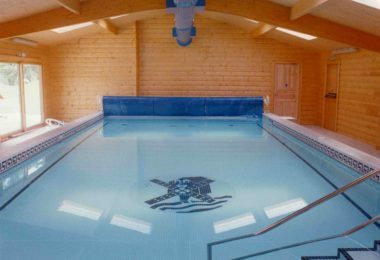 We’ll be happy to work with your own contractors for groundworks and installing the pool, services, heating and ventilation. 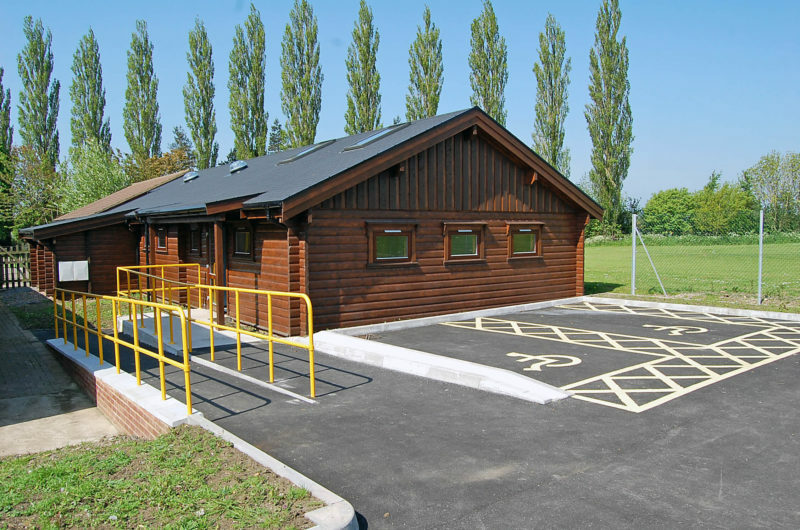 We’ll prepare all the working drawings, and on completion of the groundworks we’ll erect your building onto the prepared foundations. 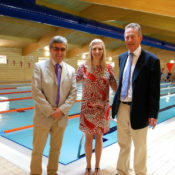 In most cases no, which is one of the great advantages of our service. 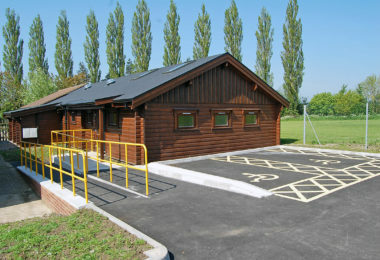 We can build to your architect's design if you have one, or we can provide an optional design service for a fee.